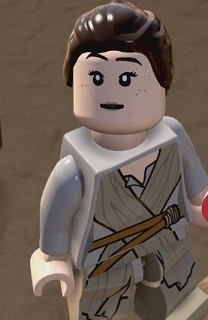 In Lego Star Wars: The Force Awakens, carbonite bricks can be found in different planets of the game world. They are partially hidden well and sometimes require certain characters with special skills to get to them. Once you have found a carbonite brick you can use the microwave in the D'Qar Medical Ward to defrost it. In the medical station you can also customize the way and change their appearance. To reach some of the carbonite bricks, sometimes you need special characters with special abilities. Ex. sometimes you need a character with lightsaber to penetrate a steel wall or you need a cold-resistant character to traverse respective areas. Below we show you the locations of carbonite bricks in each area and what characters you need to reach them. - A-Wing Pilot: Two characters with grappling hooks. - Admiral Ackbar (Classic): A character with Jetpack or double jump and no fear of water. - Princess Leia (Classic): A character with the holograms and power-users. - Gray Squadron pilot: A character with a lightsaber and with cold resistance. - Zev Senseca: Explosives is required. - Rebel Fleet Trooper: BB-8 and a character with firearm. - Jawa: Two characters with grappling hooks, can defrost a gold bricks and poison resistance. - Obi-Wan Kenobi (Classic): An agile character, a lightsaber and a poison resistance. - Padme Amidala: A character with flamethrowers to defrost gold bricks. - Greedo: A character with grappling hooks and a power-users. - Emperor Palpatine: A character who can dive. - Queen Amidala: A character with Lightsaber. - Stormtrooper (Classic): Two characters with grappling hooks. - Rebel Commando: a character which can use terminals of the first order (as Finn). - Chancellor Palpatine: a character with flamethrowers to defrost gold blocks, one with grappling hooks and a power-users. - Obi-Wan Kenobi (Episode 3): a character who can dive. - Count Dooku: You have previously bounty quest for Rancor. Then you need a character with double jump and B-U40 to control the gun. - Luke Skywalker (Stormtrooper): A character with dark power and a droid for charging. - Han Solo (Stormtrooper): Kylo Ren is required. - Darth Maul: One agile character. - Imperial Royal Guard: A character can destroy the walls. - Scout Trooper: A character with flamethrowers to defrost gold bricks and one with Jetpack. - Tie Interceptor Pilot: A character with flamethrowers to defrost gold bricks and one with Jetpack. - Anakin Skywalker: A power-user and a character that can dive. - Snow Trooper (Classic): A character can destroy the walls.